This inviting home offers one level living, a large open great room with hardwood flooring, vaulted ceilings and wonderful stone fireplace, 4 bedrooms, lower level family room, 2 remodeled full baths, 2,274 sq ft of living area, large workshop/storage, and much more! Numerous upgrades include newer shingles, all new windows; front, interior and garage doors; appliances, carpeting, newer furnace and a/c, water softener, paint, trim, and a beautifully landscaped irrigated lawn on a 0.93 acre lot! 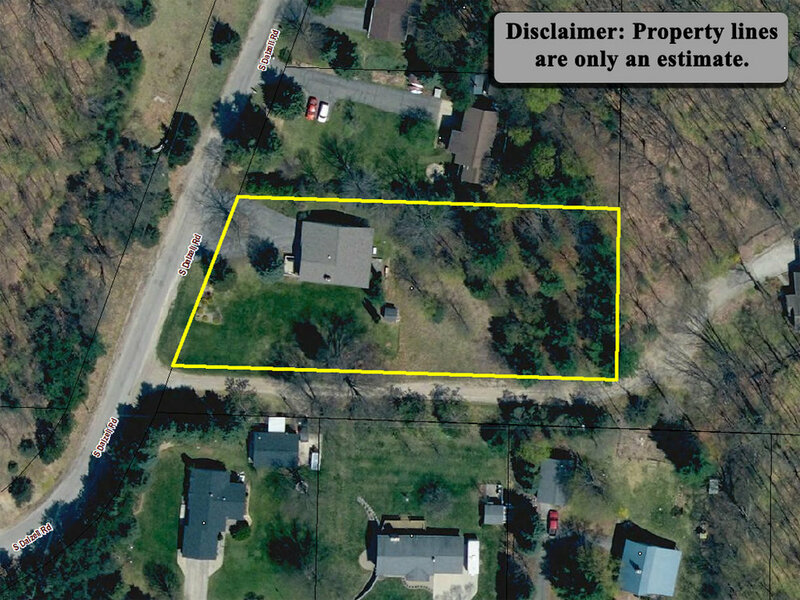 A phenomenal location on a paved low traffic county maintained road within 1/3 mile of the Leelanau Bike Trail and only 4 miles to Downtown Traverse City!